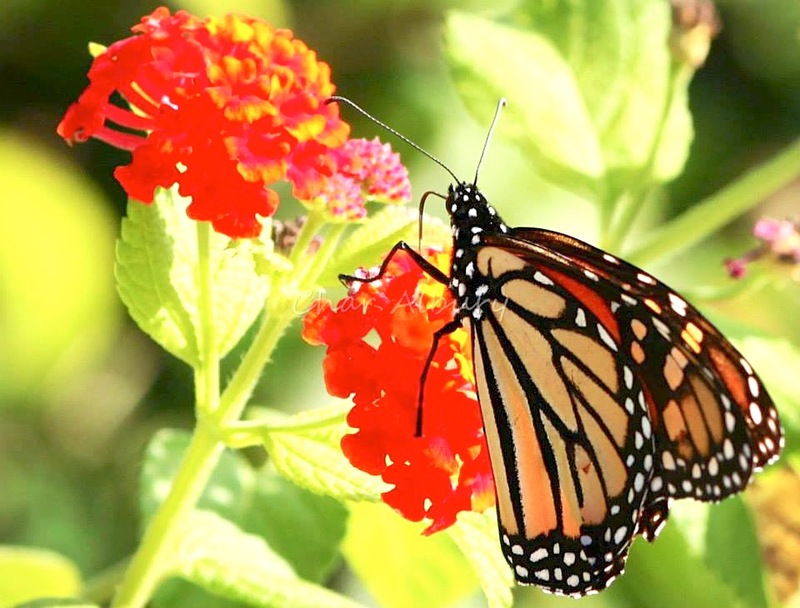 The Abaco Field Office of the AMMC is located at Friends of the Environment in Marsh Harbour. 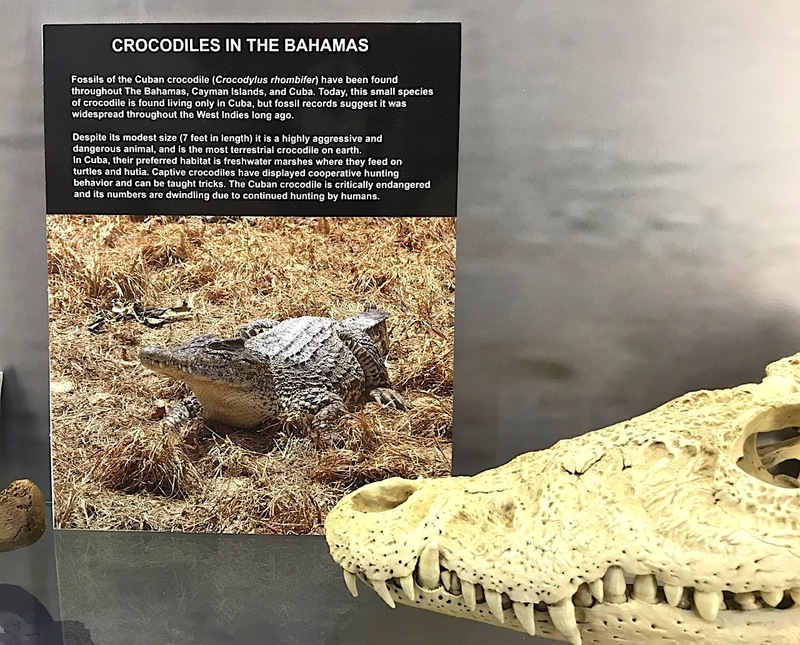 Primarily geared toward the study and research of the natural history and prehistory of The Bahamas, the expanding collection makes a huge contribution to the knowledge and understanding of the environment from both before and after the arrival of people to the archipelago. 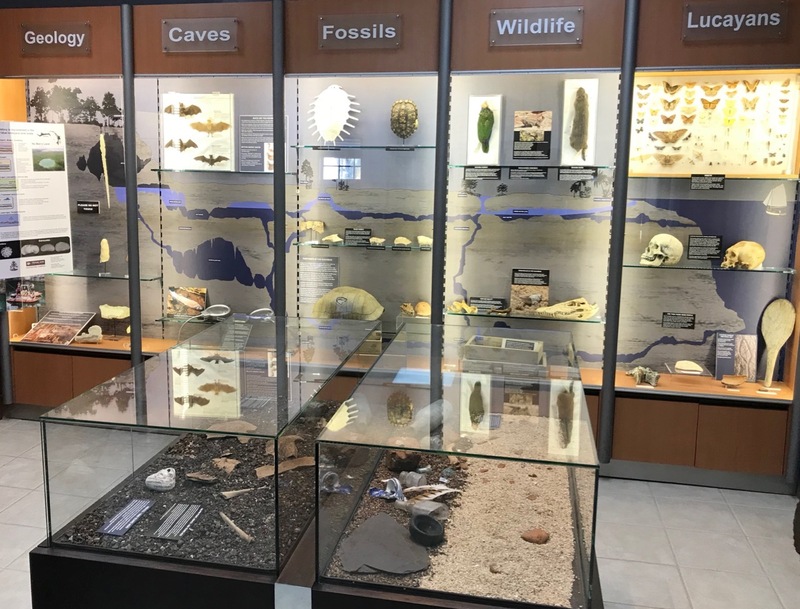 The cases shown below hold carefully labelled exhibits, against a background showing the structure of the cave systems and blue holes of the island. 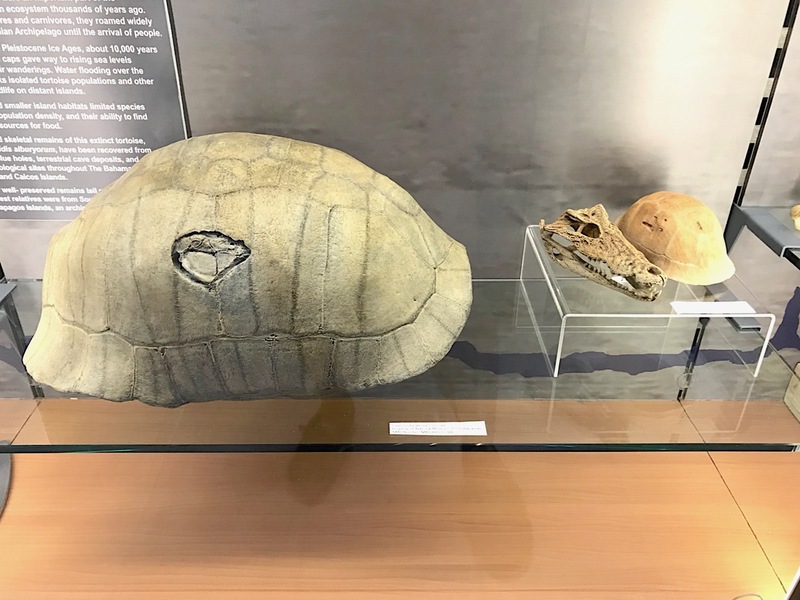 Prehistoric fossils and turtle shells, early lucayan human skulls, a HUTIA (extirpated from Abaco in times past), a deceased parrot, bats, butterflies, and a whole lot more are on display. 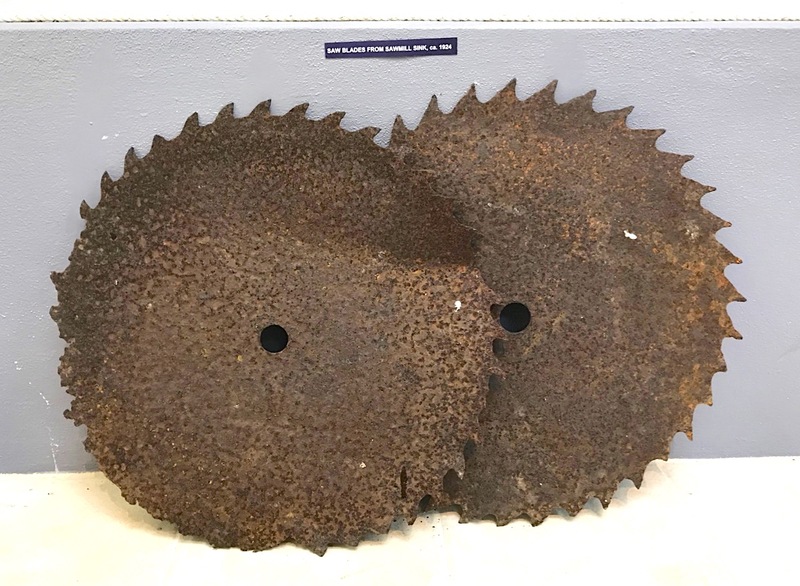 There is even a small reminder of Abaco’s once-thriving logging industry, in the shape of two circular blades from the area around the Sawmill Sink blue hole. For more of the ‘industrial archeology’ at the site (with photos,) check out what was revealed by a still-smouldering forest fire HERE. 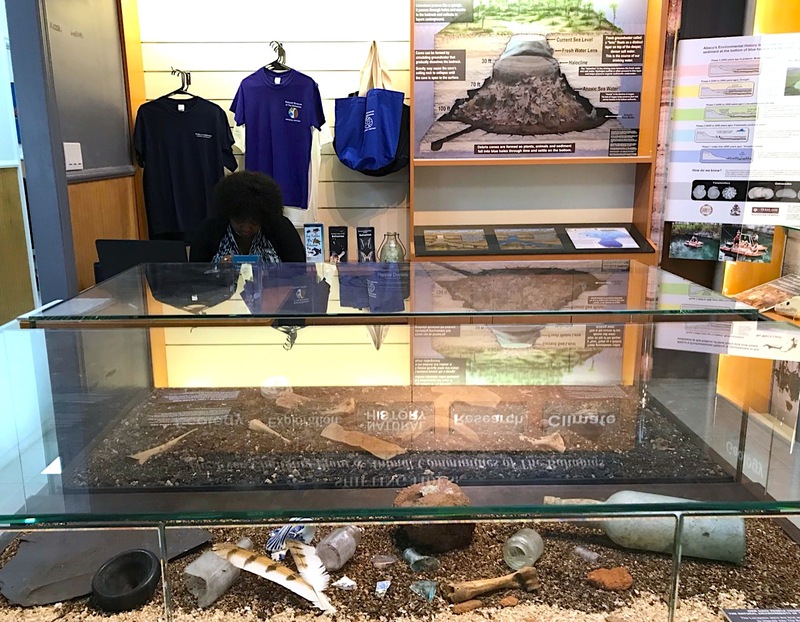 The activities conducted through the office include site surveys, excavation and documentation, collection, the conservation and curation of artifacts and fossil material, and public outreach. .
Specialised scientific activities include researching the blue holes and cave systems of Abaco. 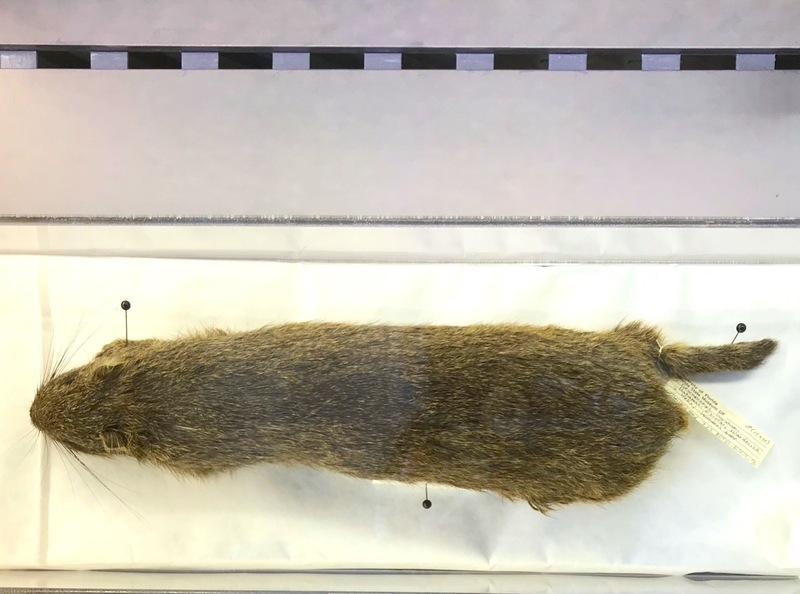 The explorations have discovered the prehistoric remains of now-extinct vertebrate species; geologic anomalies; evidence of prehistoric storm and fluctuating sea levels; and valuable data about the biodiversity of cave-adapted fauna and vegetation. 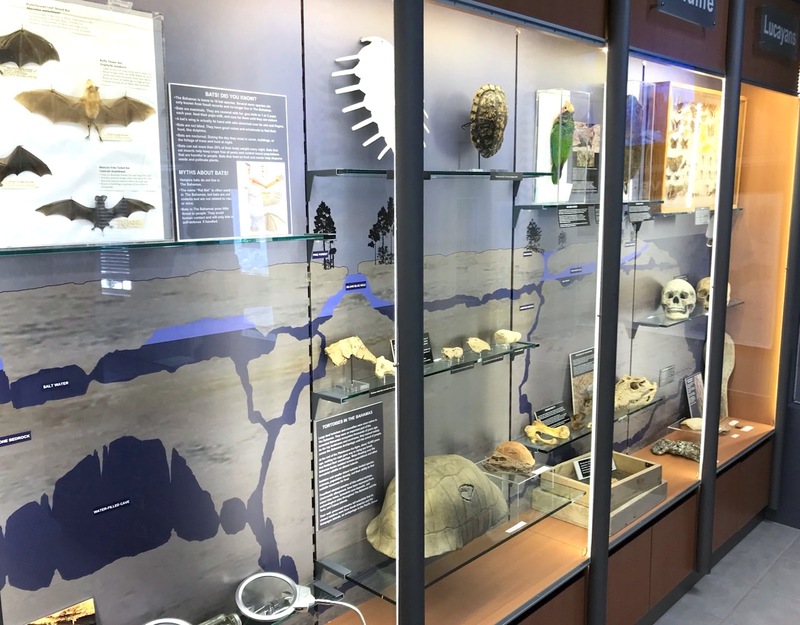 Dry caves and blue holes also provide evidence the arrival of the first humans that migrated to the Bahamas, beginning with the early Lucayan Amerindians, as well as the plant and animal communities during their initial occupation more than 1000 years ago. 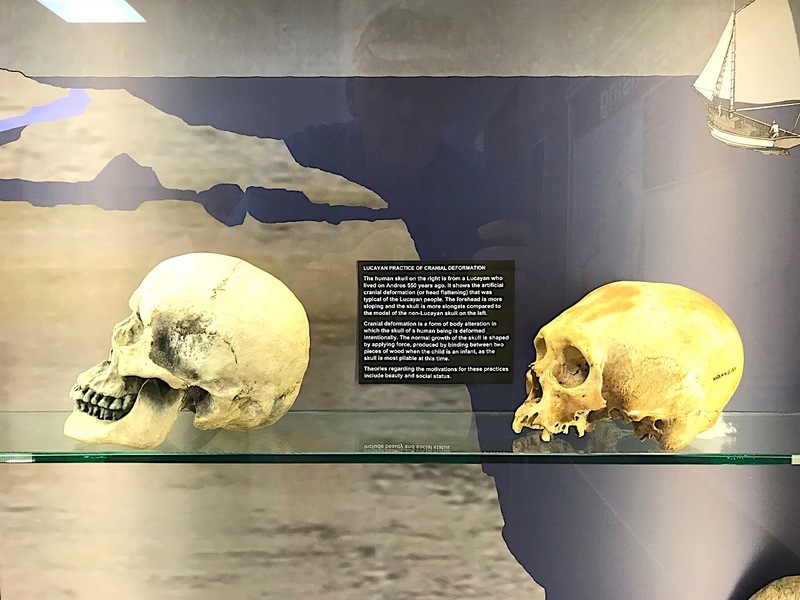 One skull (r) demonstrates graphically the effect of the Lucayan practice of (deliberate) cranial deformation. 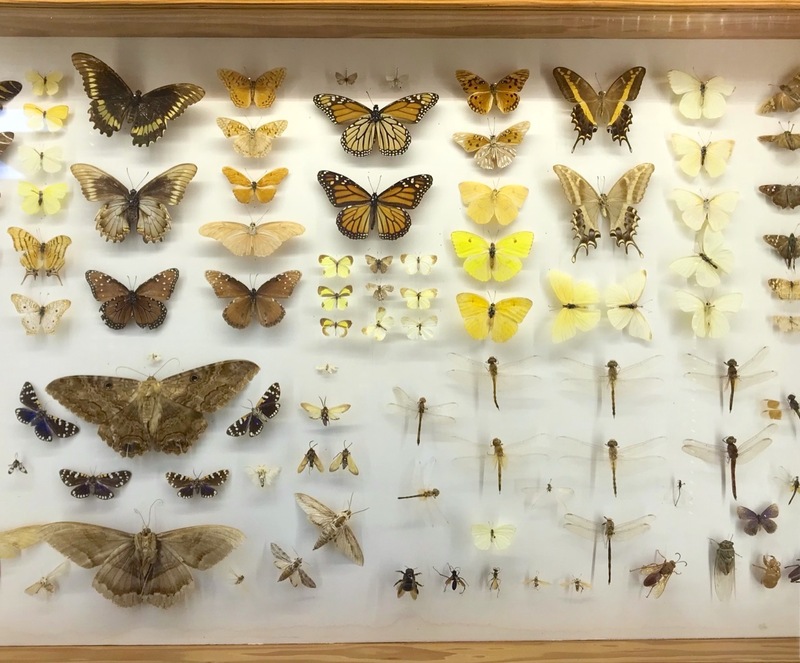 The Field Office’s collaborative research involves a number of scientific organisations; and the educative outreach includes schools, universities, scientific conferences and public forums. 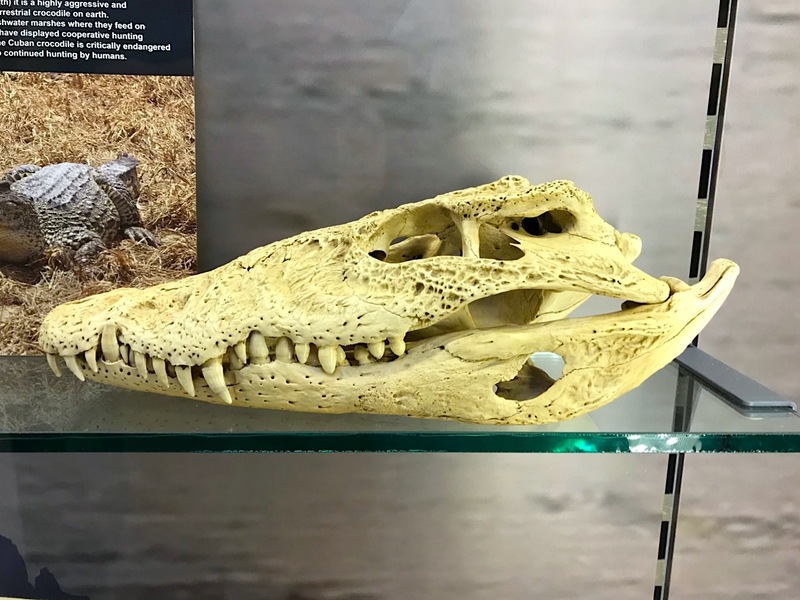 As importantly, the valuable community resource of a first-rate small museum that contains many fascinating exhibits it right there in Marsh Harbour. And it is free to all. 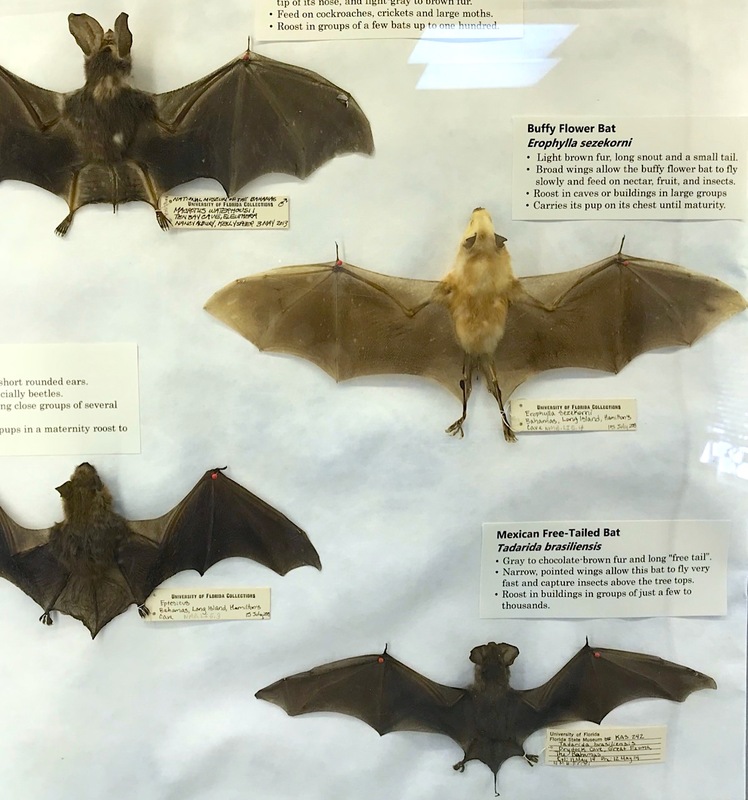 Some of the cave bats of Abaco. In Ralph’s Cave, to this day there’s a fossilised bat entombed forever on the floor of the cave. 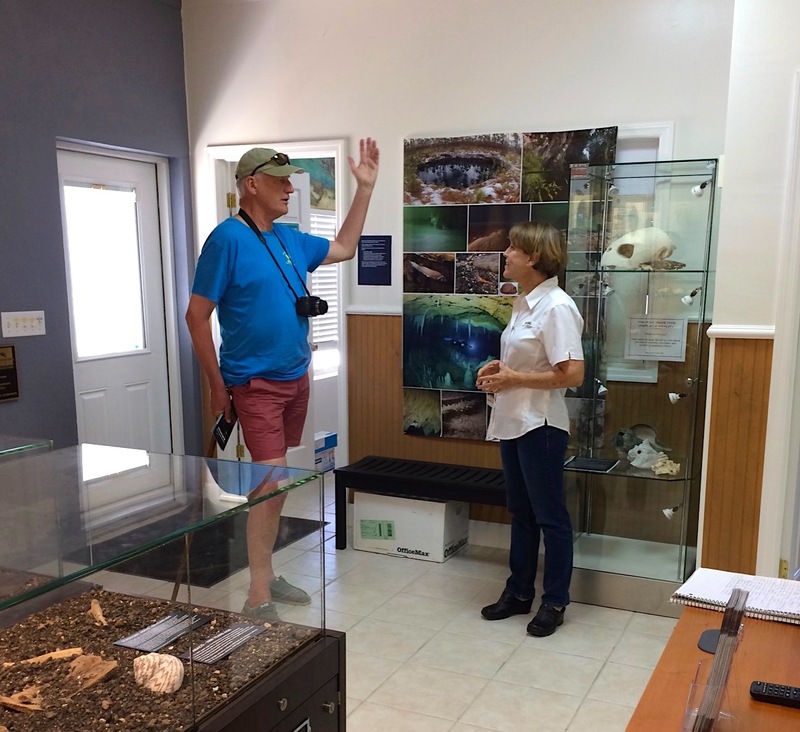 This strange, ill-clad male is either (a) trying to give an authentic traditional Lucayan greeting or (b) trying to high-five Nancy Albury (who is ignoring it) or (c) just behaving bizarrely. I go for (c). 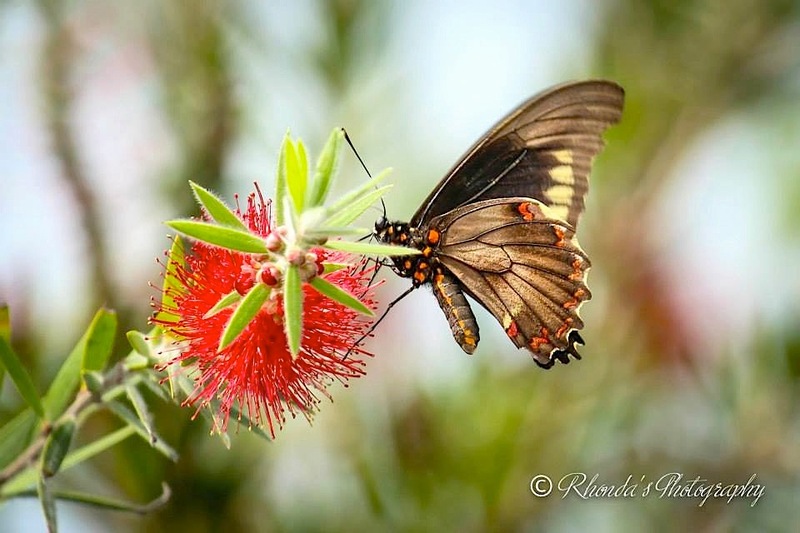 Credits: first and foremost, curator Nancy Albury and her team; Friends of the Environment; AMMC. 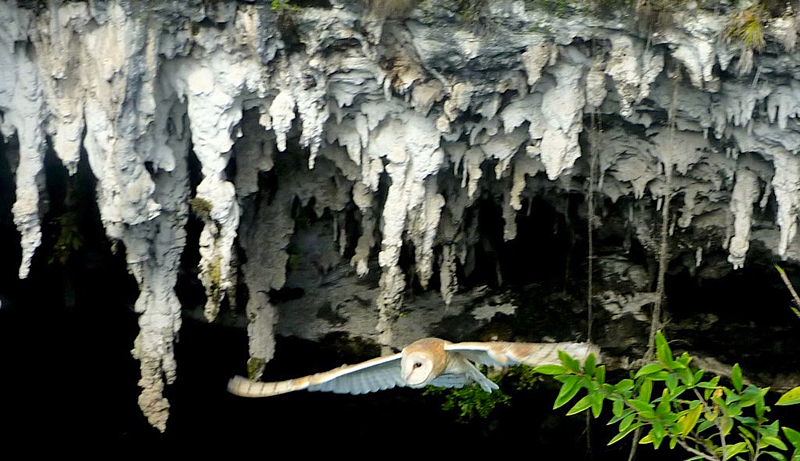 All photos are mine (with plenty of excuses for poor indoor colour, display glass reflections etc), except the tragically entombed cave-bat in the bat-cave from well-known diving and cave-system exploration expert Brian Kakuk / Bahamas Cave Research Foundation; and the wonderful photo below of a Barn Owl flying out of a dry cave on Abaco, by kind permission of Nan Woodbury. 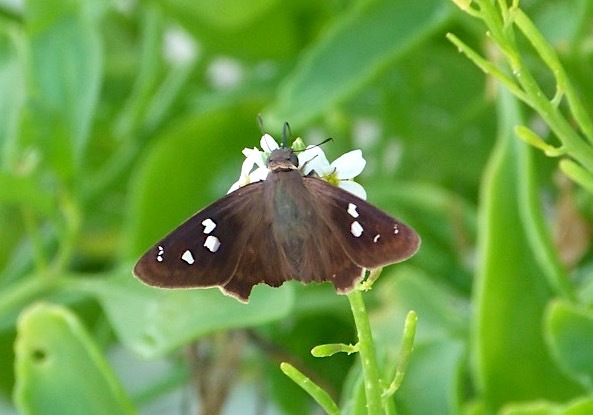 The Hammock Skipper Polygonus leo is quite a small butterfly. We found the ones shown here in the vegetation at the back of the Delphi beach. 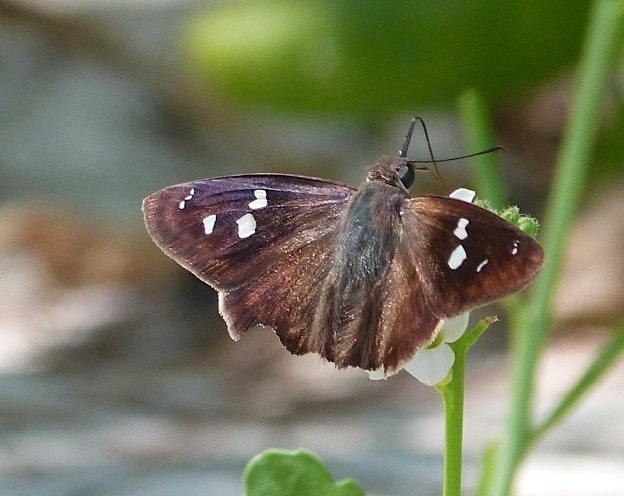 Having initially thought this was a Northern Cloudywing (and a ‘lifer’ for me), Colin Redfern has kindly corrected my (mis-)ID, and I have made the consequent changes. 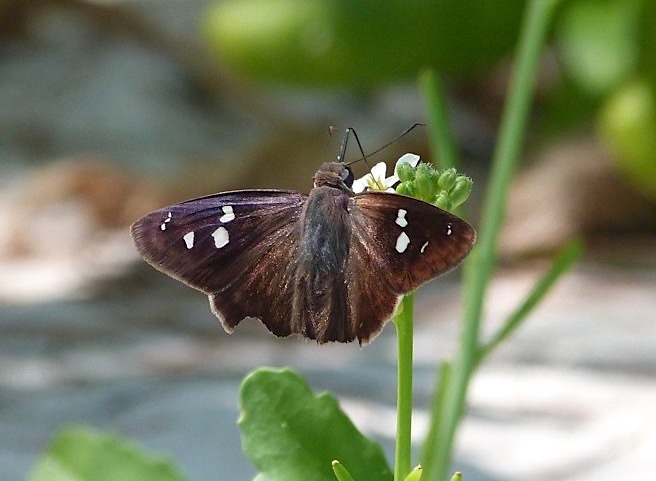 Perhaps unusually for butterflies these skippers are sexually ‘monomorphic’, i.e. very similar in both sexes. 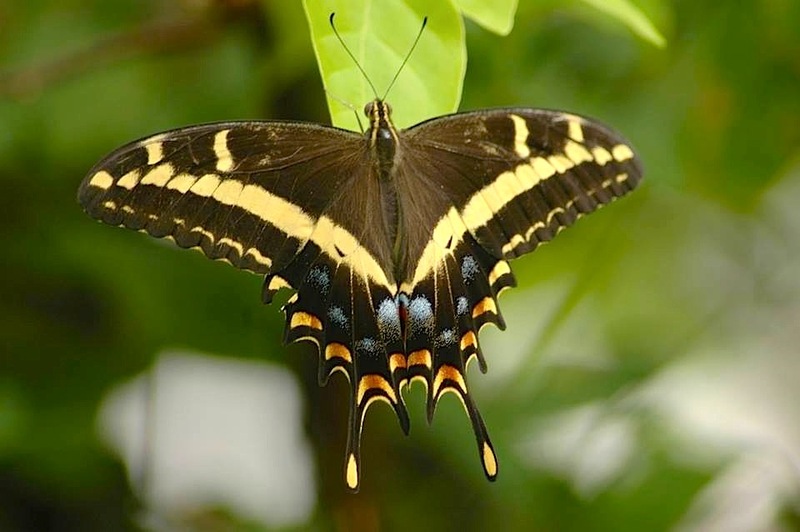 Males and females both have completely dark brown wings except for the small white spots. 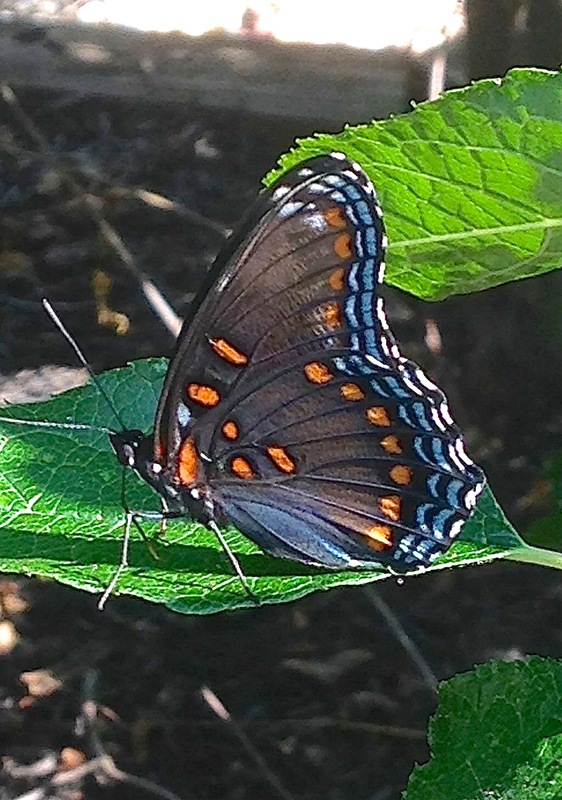 The white peacock (Anartia jatrophae) is not a rare butterfly in the northern Bahamas. 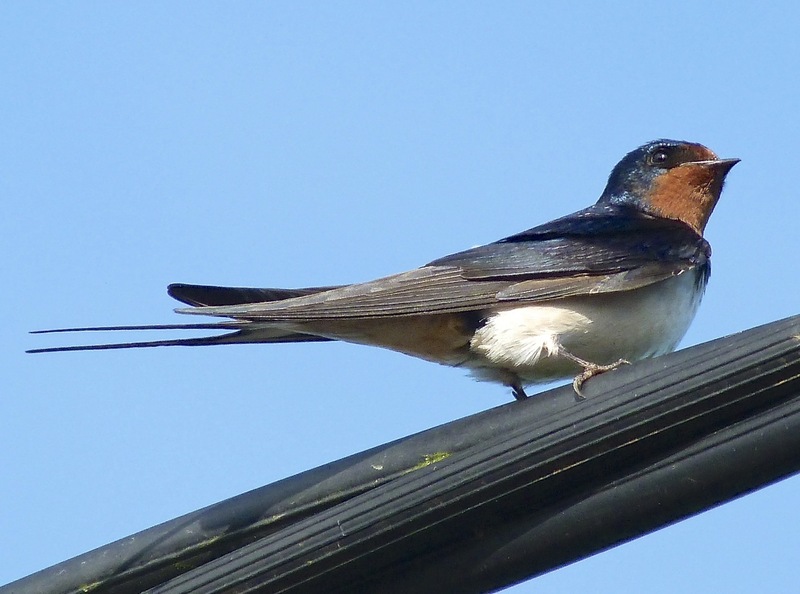 However, until recently I had never – or never consciously – seen one before. 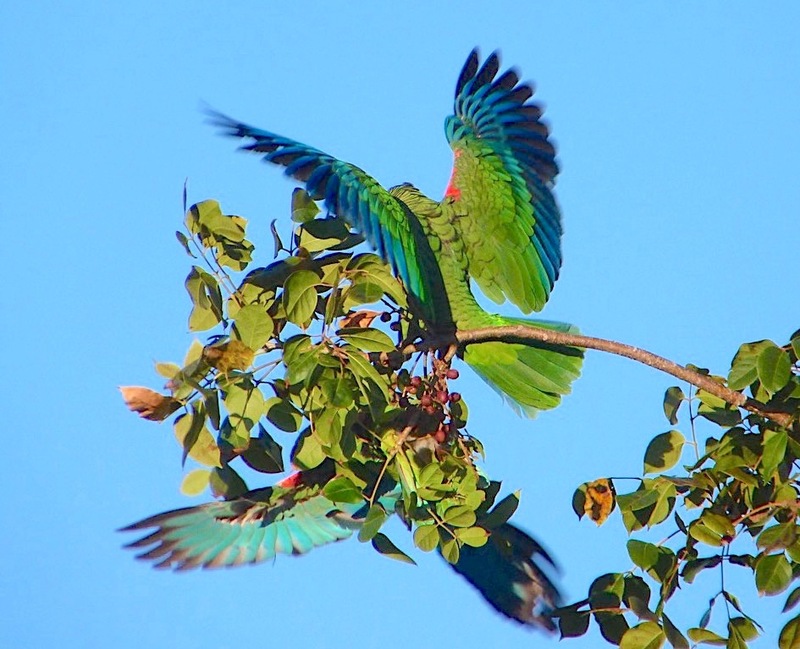 Then we came across a few at the Neem Farm, all very frisky and mostly refusing to settle for more than 1/100 second. By the time I have remembered to remove my lens cap, they are 50 yards away. 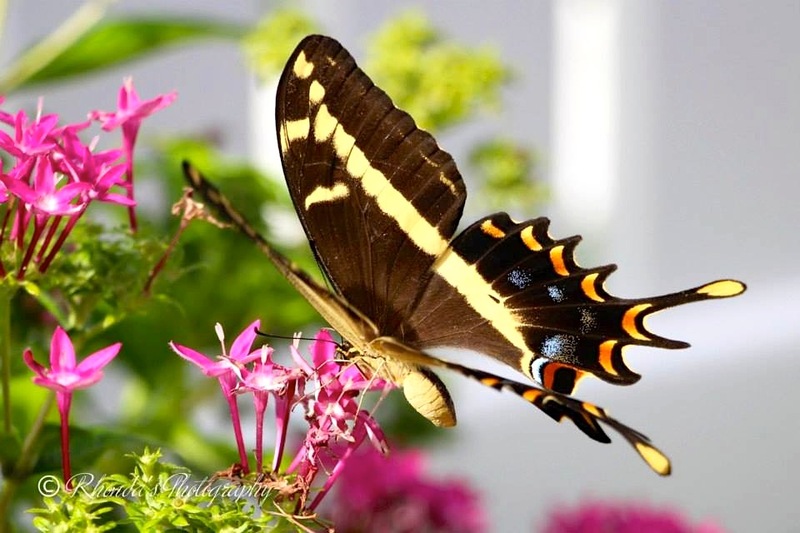 I checked out these pretty but unassuming butterflies online because they seemed rather pale and anaemic. 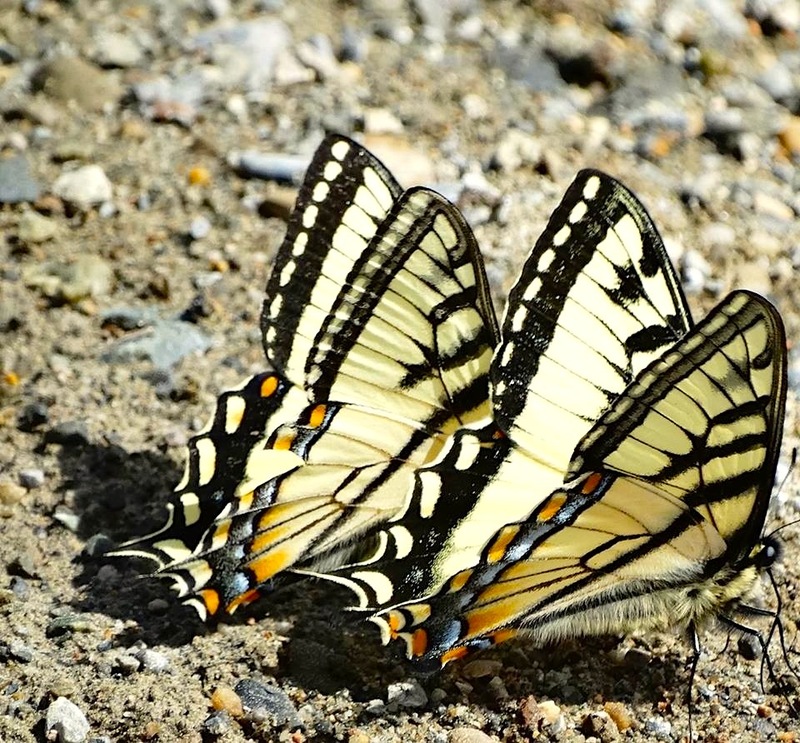 As far as I can make out this is because they were still in winter colouring; in summer they are more brightly marked. 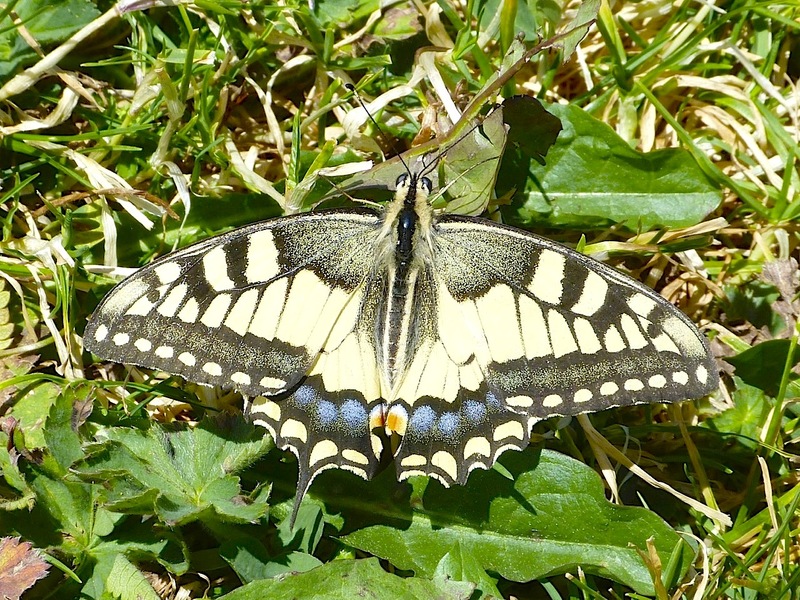 Here’s a photo of a dishevelled white peacock taken in June at Delphi by Charlie Skinner, which shows stronger colours. ARE THEY EVER FOUND LOOKING BRIGHT AND NOT FALLING APART? 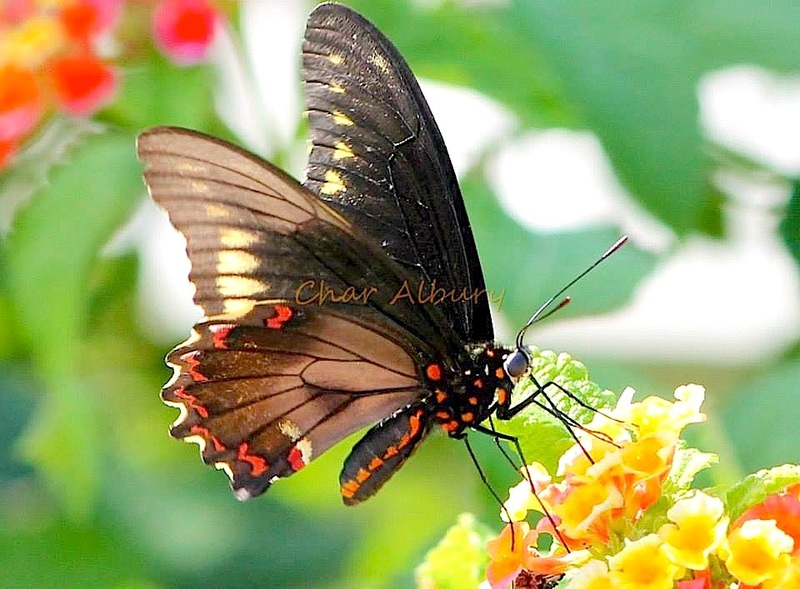 I’ve mentioned the swallowtail butterflies of Abaco before, but I have never shown the 3 main species together. 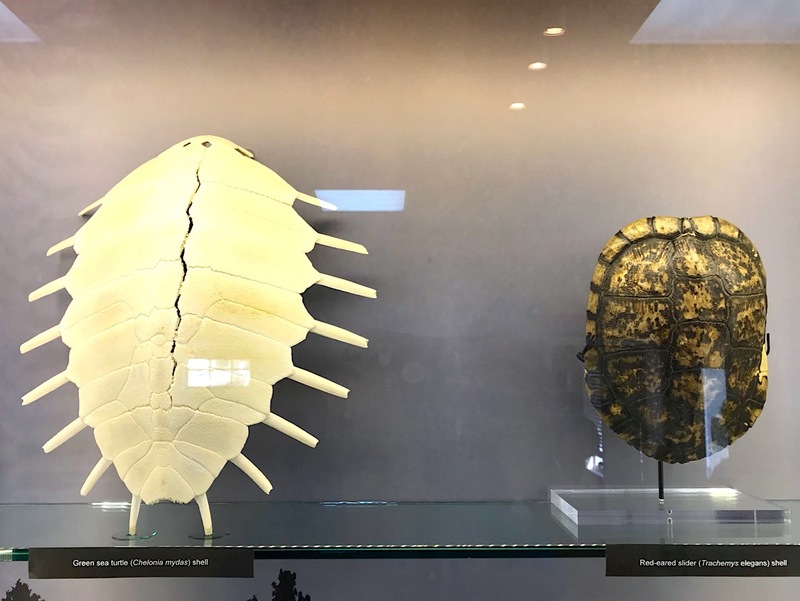 They are such handsome creatures that’s it time to give them a place in the sun. 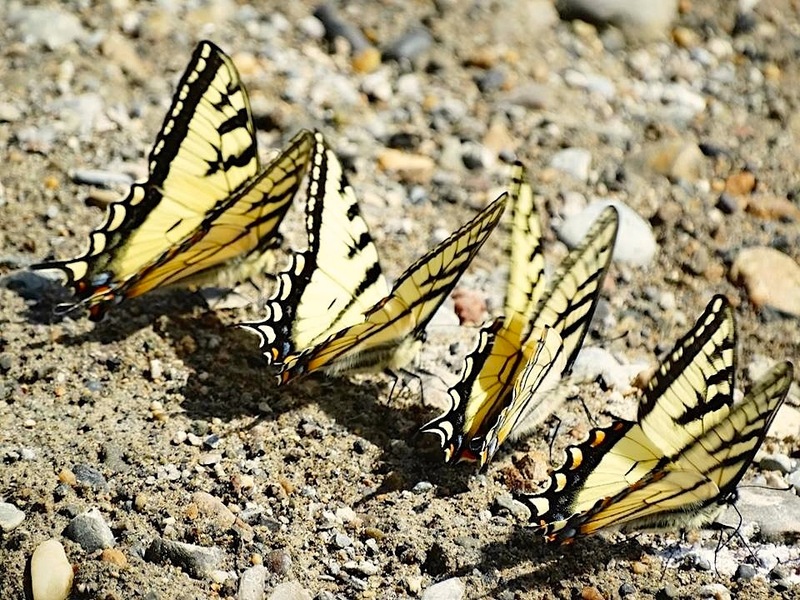 These are my favourite butterflies. 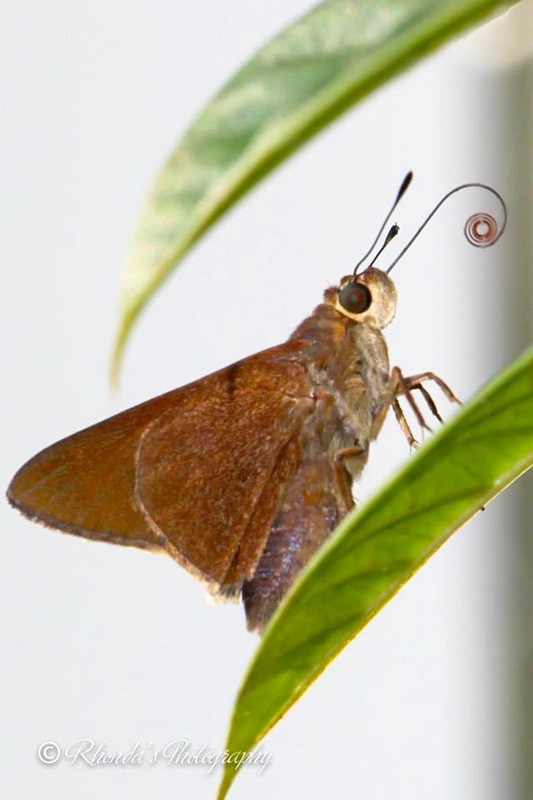 Ah yes – equally with the wonderful ATALA HAIRSTREAK. 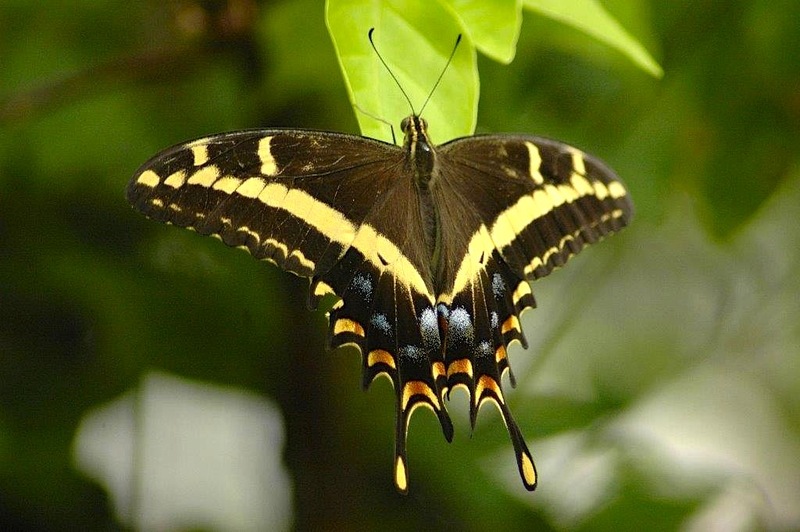 This fine swallowtail Papilio andraemon has a range beyond the islands of the Bahamas. 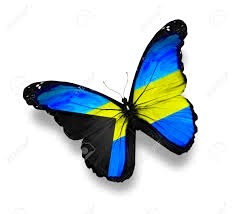 It is also found on Cuba and Jamaica. 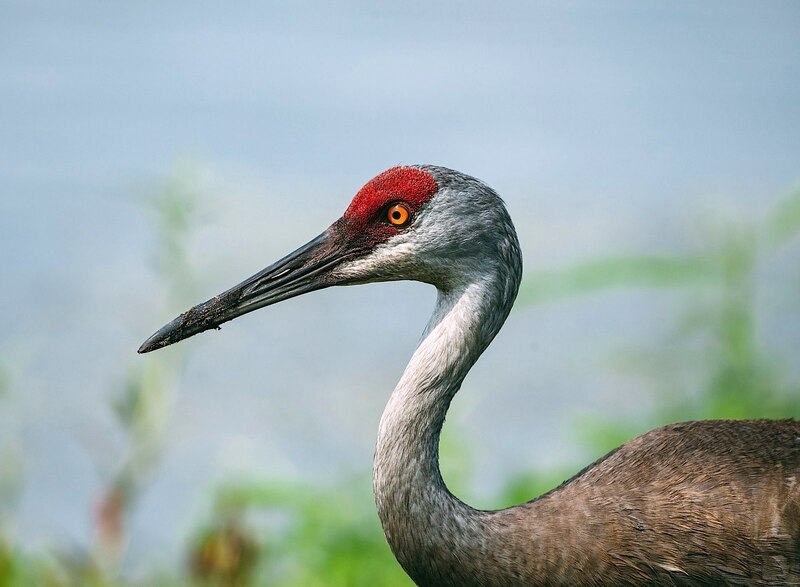 Occasionally they are found as strays on the Florida Keys or on the mainland in the Miami region. 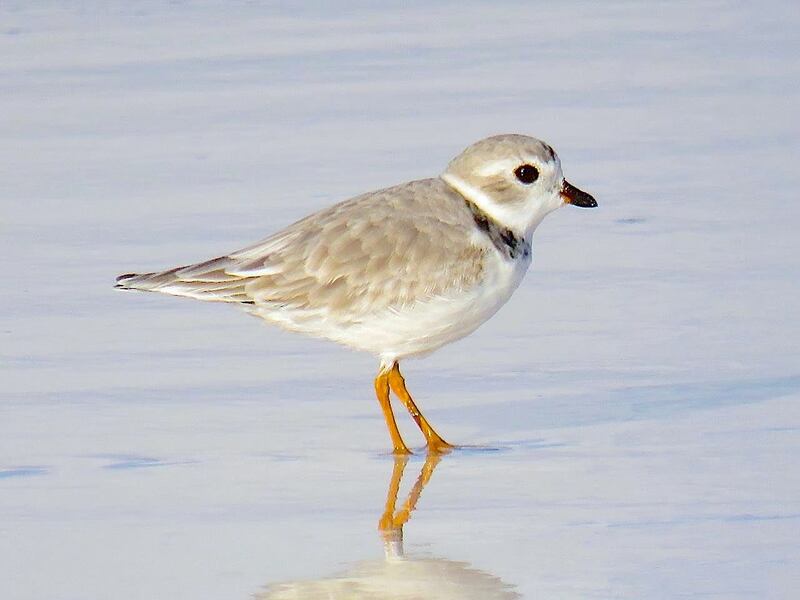 I suspect this species – common in the eastern USA – is quite rare on Abaco. 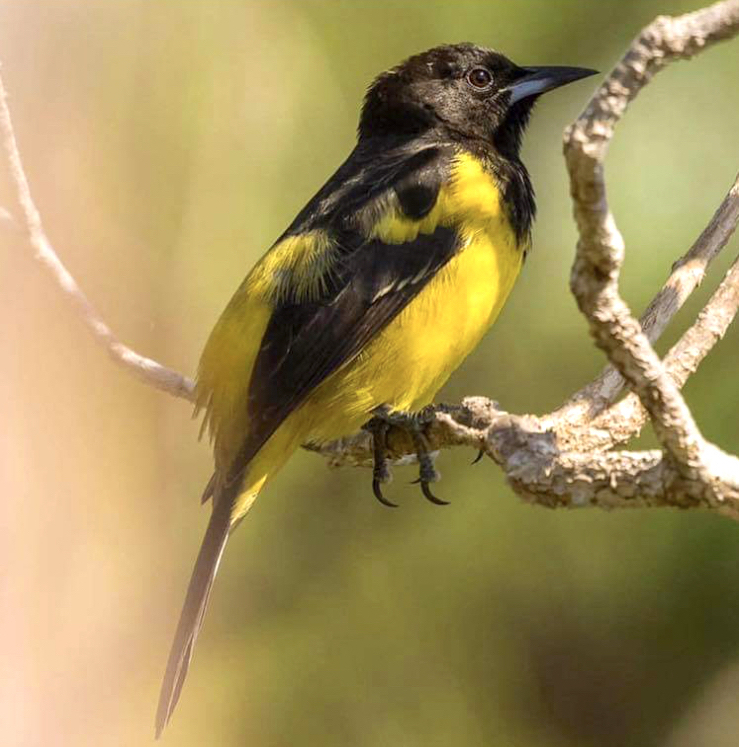 I have never seen one, and these ones photographed by Uli Nowlan at Treasure Cay are the only pictures I have seen. 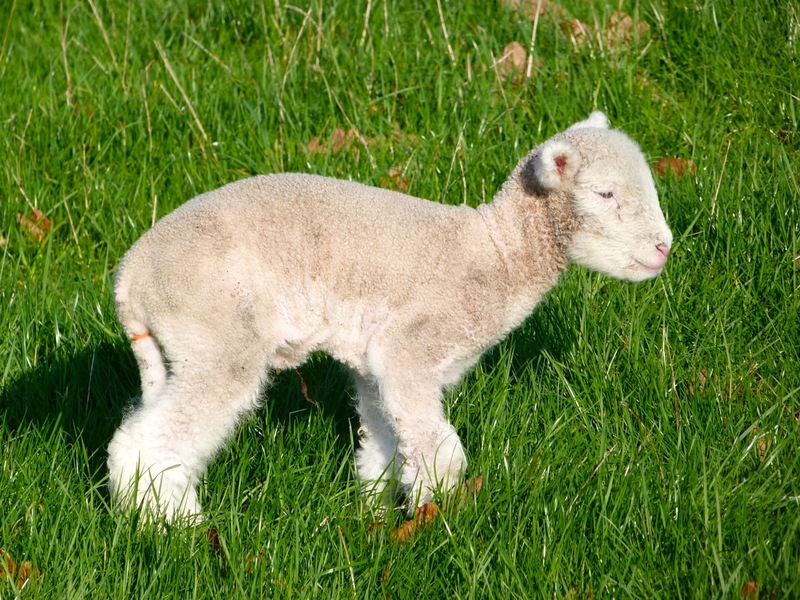 And what lovely creatures they are. 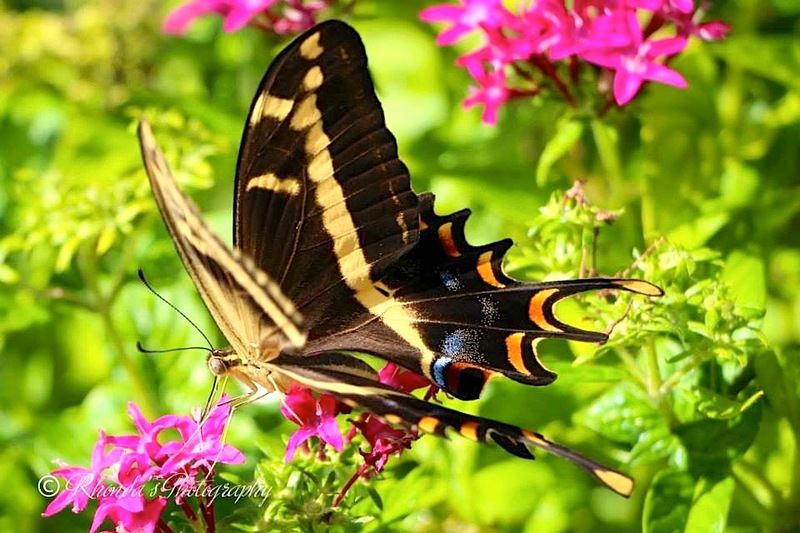 This reminded me that I have some butterfly images waiting in the wings (ha! 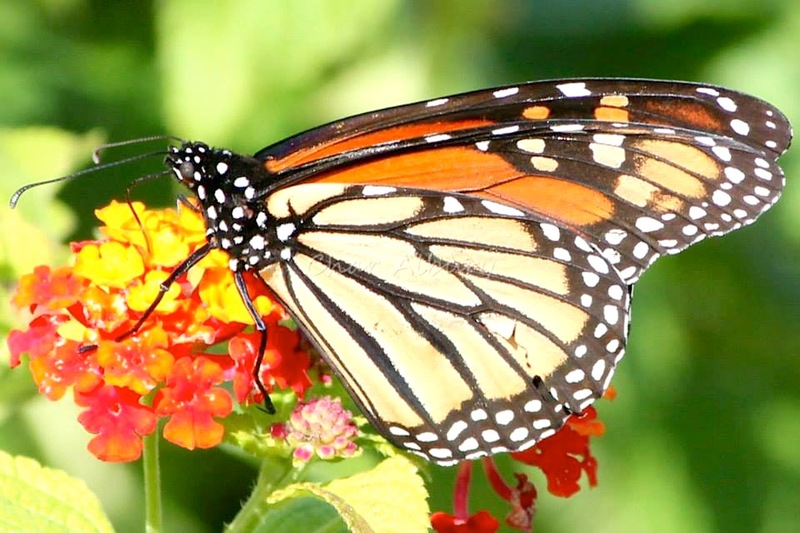 ), so now is the time to encourage a few out of their virtual chrysalis for wider appreciation. 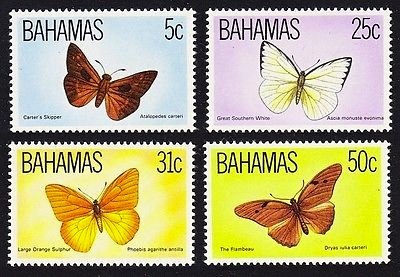 The Bahamas has an excellent record for producing colourful stamp issues showcasing the wildlife of the islands – birds, reef fish and of course butterflies. 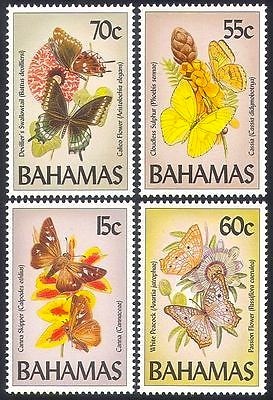 I’ve posted about these several time, and they are more or less collected together on a dedicated stamp page HERE. 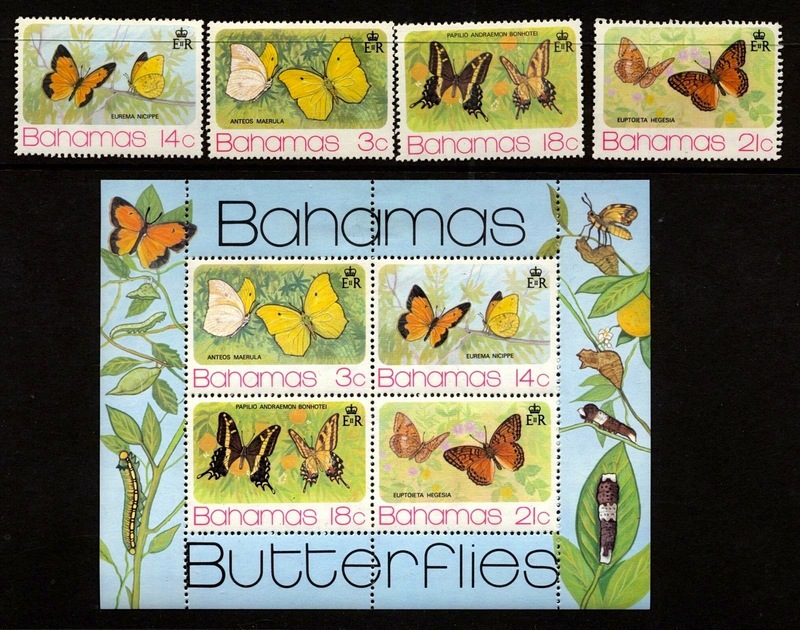 As for the butterflies, they get a new issue every decade or so. Here are the last four. 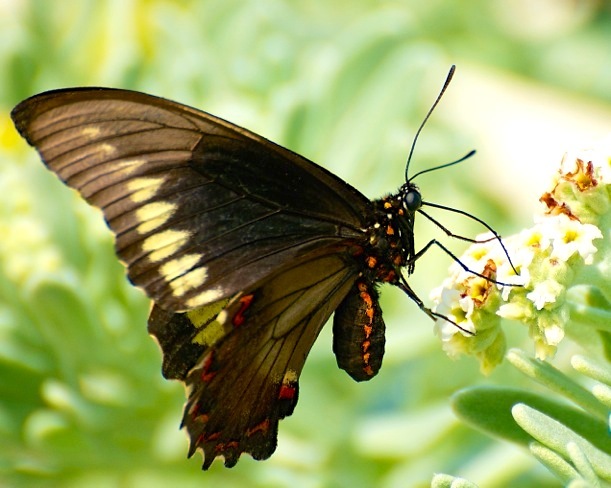 I wish I could tell you something useful about this butterfly, but frankly there’s not a lot of info about it to be found. 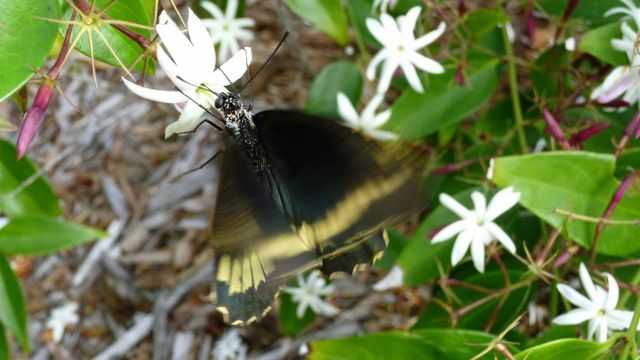 In part that may be because it is not a mainstream American butterfly, being found only in southern Florida. 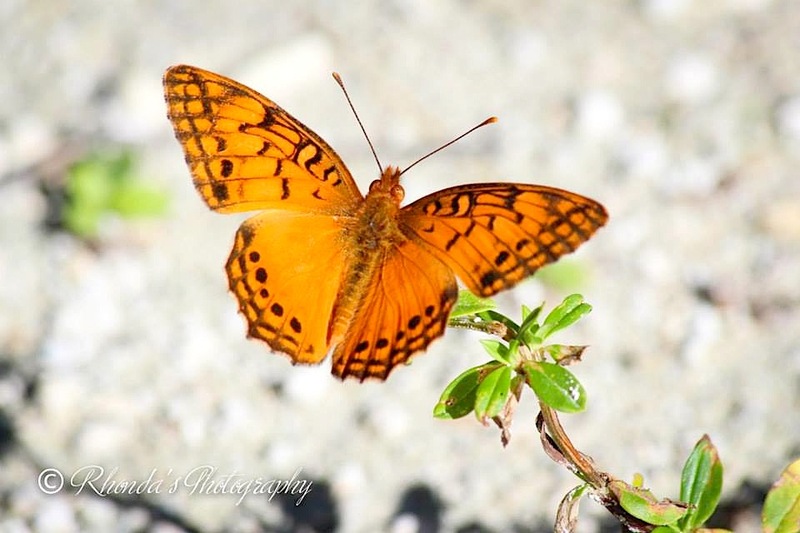 However it is found in the West Indies, and indeed on Abaco – this one was photographed by Nina Henry at Little Harbour. 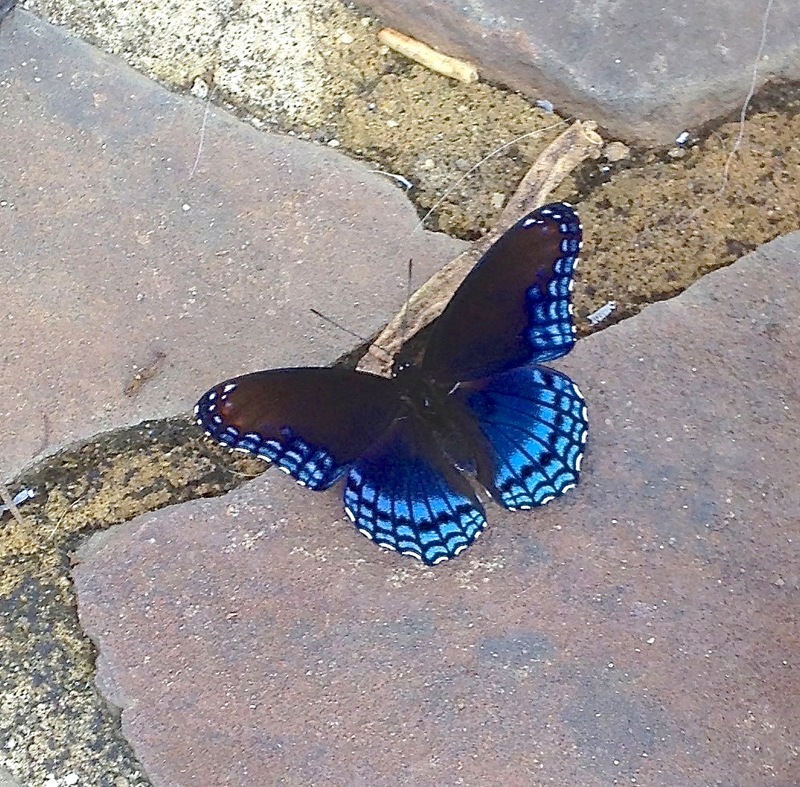 She was walking from Pete’s Pub to the OLD LIGHTHOUSE when she came across this butterfly. 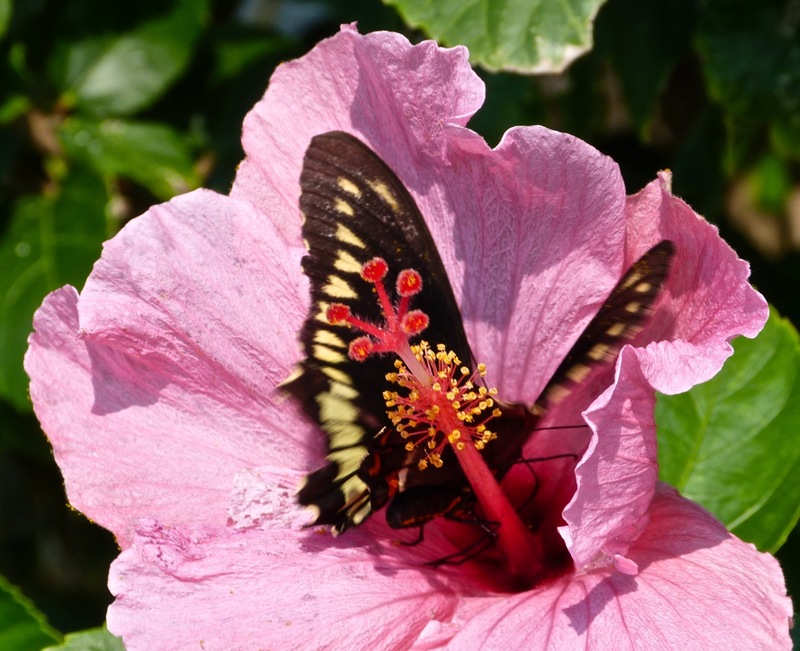 She sent it to me as a query and it took me an hour to nail the ID – there are other very similar and more common hairstreaks that threw me off track for a while (I thought it might be a female… oh, ever mind, it wasn’t). 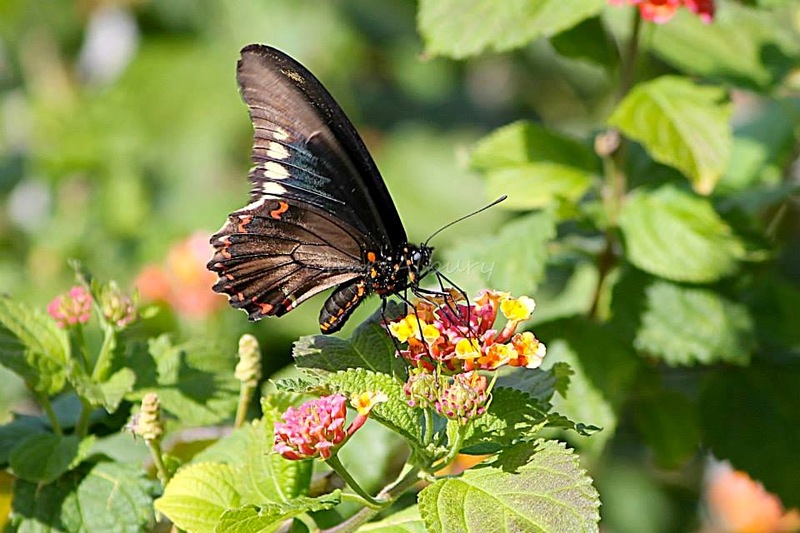 The Martial Scrub-Hairstreak Strymon martialis ranges from the southern tip of Florida, throughout the Bahamas and Greater Antilles. 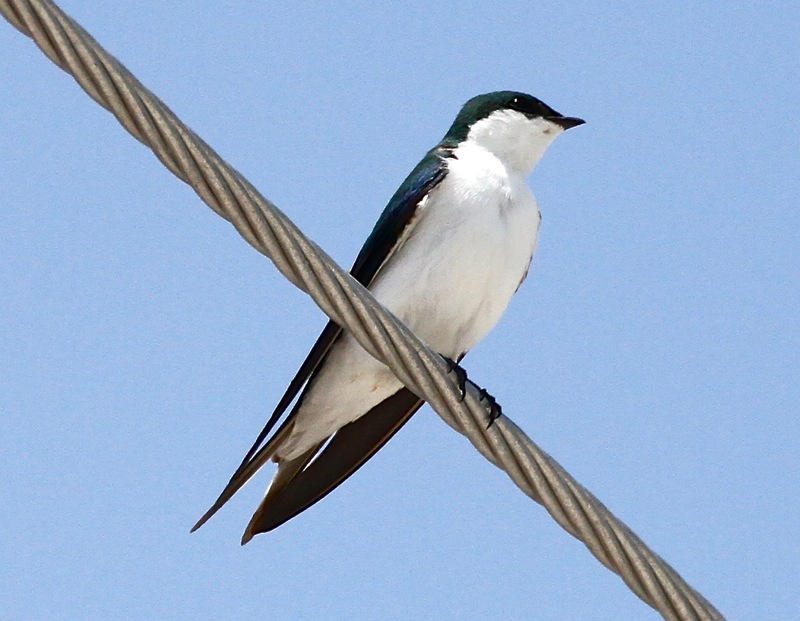 I’ve never seen one on Abaco, and I’d be very interested to hear from anyone who has. 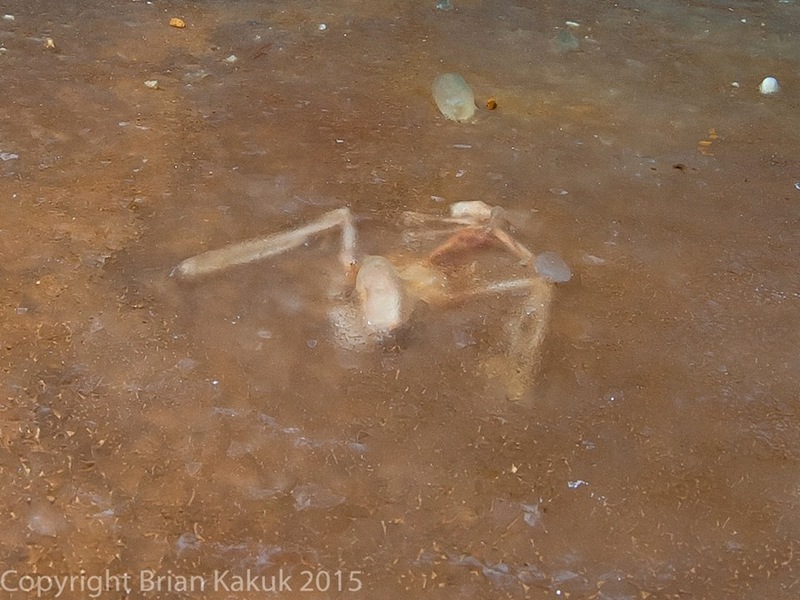 As far as I can make out this creature’s range tends to be further south, so I’m guessing they are unusual for Abaco. Prove me wrong!